Wales national team boss Chris Coleman has refused to rule out the possibility of taking over as the next England national team manager. Coleman was asked at his pre-match press conference ahead of the Euro 2016 semi-final clash against Portugal if he would consider taking over the vacant England job following the resignation of Roy Hodgson. England are currently without a manager after Hodgson resigned following a shock defeat against Iceland in the Last 16. “It’s not something I think I would get offered, but I would never rule it in to be honest,” Coleman was quoted as saying by the Daily Mail. Coleman went of to reveal that once he does leave Wales he would probably take over a club abroad and that he wants to coach a side in the Champions League. 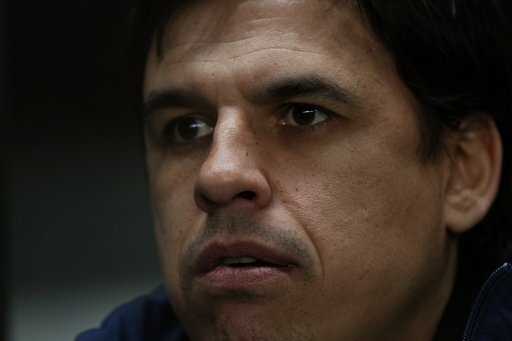 Coleman has managed to guide Wales to the semi-finals of the European Championships for the first time in the countries history against all the odds. Wales will take on Portugal – who have not won a single game in regulation time – in the semi-final at the Stade des Lumières on Wednesday 6 July.